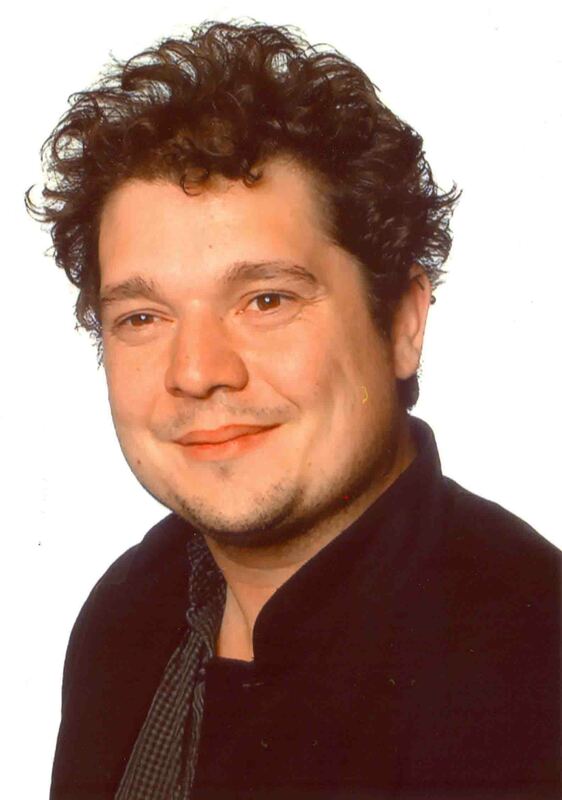 Charles-Étienne Benoit is a Ph.D. student who joined the Music Performance and Brain Lab in October 2010 through the EBRAMUS (Europe Brain and Music) consortium. His master degree was completed in Québec (Canada) under the co-direction of Dr. Rémi Quirion and Dr. Philippe Sarret where he worked on animal behaviours, studying memory formation and neuropharmacology. His doctoral research explores music benefits in the rehabilitation of motor disorders. This work will be done in co-direction with Dr. Sonja Kotz (Max Planck Institute, Leipzig, Germany). The project consists to evaluate motor capacity of patients with Parkinson’s disease or brain lesion (frontal or basal ganglia), present them with a program that encourages sensorimotor synchronisation and evaluate if the stimuli are able to compensate for the motor deficits over time. Various techniques will be used including motion capture, electroencephalography (EEG) and functional Magnetic Resonance Imaging (fMRI). Benoit, C-E., Bastianetto, S., Brouillette, J., Tse, Y.C., Boutin, J.A., Delagrange, P., Wong, T.P., Sarret, P. & Quirion, R. (2010). Loss of quinone reductase 2 function selectively facilitates learning behaviours. The Journal of Neuroscience, Sep 22;30(38):12690-700. Benoit, C-E. (2010). Loss of quinone reductase 2 facilitates learning behaviors. WCBR, Breckenridge (USA), January 23 - 30. Benoit, C-E. (2009). Loss of quinone reductase 2 function enhances cognition. ESN, Leipzig (Germany), July 11 - 14. Benoit, C-E., Bastianetto, S., Brouillette, J., Boutin, J.A., Delagrange, P., Wierzbicki, M., Sarret, P. & Quirion, R. (2009) Loss of quinone reductase 2 function enhances cognition. ESN , Leipzig (Germany), July 11 - 14. Menard, C., Benoit, C-E., Quirion, R. (2009) Characterization of glutamate receptor subunits in memory-impaired and memory-unimpaired Long-Evans aged rats. ESN, Leipzig (Germany), July 11 - 14. Benoit, C-E., Bastianetto, S., Brouillette, J., Boutin, J.A., Delagrange, P., Wierzbicki, M., Sarret, P. & Quirion, R. (2009) Loss of quinone reductase 2 function facilitates learning behaviors in rodents. CAN, Vancouver (Canada), May 25 - 29. Morales-Medina, J.C., Dumont, Y., Benoit, C-E., Beck-Sickinger, A.G., Sarret, P. & Quirion, R (2009) Modulation of neuropeptide Y Y1, Y2, Y5 receptors reverse specific behavior despairs by increasing neurogenesis in the dentate gyrus of a rat model of depression. SFN, Chicago (USA), October 17 – 21. Menard, C., Benoit, C-E., Quirion, R. (2009) Characterization of glutamate receptor subunits in memory-impaired and memory-unimpaired Long-Evans aged rats. SFN, Chicago (USA), October 17 - 21. Benoit, C-E., Bastianetto, S., Brouillette, J., Boutin, J.A., Delagrange, P., Wierzbicki, M., Sarret, P. & Quirion, R. (2008) Evidence for a possible role for Quinone reductase 2 in neuroprotection and memory in rats. SFN, Washington (USA), November 13 - 19. Morales-Medina, J.C., Dumont, Y., Bastianetto, S., Benoit, C-E., Flores, G., Sarret, P. & Quirion, R (2008) Role of Neuropeptide Y and its receptors in depression-like behaviors using the bulbectomized murine model of depression. SFN, Washington (USA), November 13 - 19. Morales-Medina, J.C., Dumont, Y., Bastianetto, S., Benoit, C-E. & Quirion, R (2008) Differential antidepressive and anxiolitic actions of a Y1-like receptor agonist and a Y2 receptor andtagonist in a rat model of depression. NPY meeting, Okinawa (Japan), March 16 to 20. Benoit, C-E., Brouillette, J., Bastianetto, S., Boutin, J.A., Sarret, P. & Quirion, R. (2007) Evidence for a possible role for Quinone reductase 2 in neuroprotection and memory in rats. CAN, Toronto (Canada), May 22 - 25. Li, A., Benoit, C-E., Staimmer, A., Dumont, Y., Su, T.Z., Dooley D.J. & Quirion, R. (2007) Distribution of the voltage-sensitive Ca2+ channel α2δsubunit subtypes 1 and 2 ([3H]-gabapentin and [3H]-pregabalin binding sites) in rat, monkey and human brains. SFN, San Diego (USA), November 3-4.